All of Mattie Lyon's hopes and dreams are riding on her summer job at the Glennmore Hotel. She'll make enough money to go to college in the fall. She'll prove to her father that she is responsible. She'll learn how to survive in the sophisticated world beyond her dad's brokeback farm. But all her plans fall to pieces when a young woman turns up drowned in the lake. Only Mattie knows that her death is a murder. An astonishing and heartbreaking story set in 1906, this novel will take its place beside To Kill a Mockingbird, Little Women, and other classics that hark back to times of lost innocence. 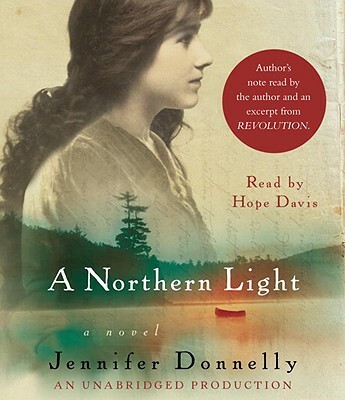 A NORTHERN LIGHT is Jennifer Donnelly's first published young adult novel, and it marks the debut of a major new talent. Jennifer Donnelly is the author of two adult novels, The Tea Rose and The Winter Rose, as well as the young adult novel A Northern Light, winner of Britain's prestigious Carnegie Medal, the L.A. Times Book Prize for Young Adult Literature, and a Michael L. Printz Honor Award. She lives and writes full-time in upstate New York. You can visit her at www.jenniferdonnelly.com.